Nearly 100 million people in the United States report that they suffer from some form of chronic pain. While back pain takes the crown for chronic pain, hip pain is also one of the most common nagging aches people live with. If you are someone who suffers from hip pain, we have good news, there are several treatment options that may help you, and visiting your local chiropractor is one of them. Before we explain what may have caused your hip pain, and how a chiropractor may help, lets gain a better understanding of the hip joint. There are several dysfunctions of the joint, or the surrounding ligaments, muscles, and pelvic bones that can cause hip pain. Here are some of the more common reasons people experience hip pain. Osteoarthritis – This is the degenerative process of the cartilage around your joints. This is often the result of normal wear and tear. Transient Osteoporosis – This can be a painful condition that impacts some pregnant women and middle-aged men. This condition may be reversible. Bursitis – Your joints have fluid filled sacs that cushion the area and reduce friction. When the bursa becomes inflamed it can result in bursitis. 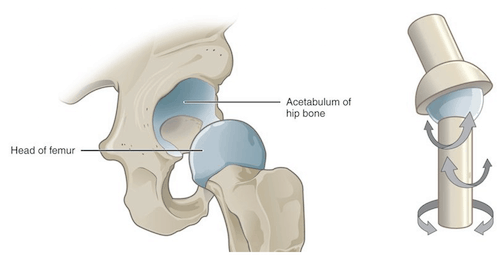 When this takes place in the hip joint, it will result in pain in the area. Overuse or muscle strain – If you put your body through the same motions for prolonged periods of time, it may result in the hip becoming bruised or torn. This is common in athletes. Your local chiropractor may be the best first stop for your hip pain. Chiropractors believe that most of the body’s aches and pains may be associated with the misalignment of the spine and the extraspinal joints, such as the hip joint. Your chiropractor may use several techniques to align the hip joint and reduce inflammation in the hip area, and the rest of your body as well. Here are some of the recommendations your chiropractor may make based on your specific condition. X-ray of your hip joint – Your chiropractor may have the latest in digital x-ray equipment in their office to x-ray the hip joint if necessary. Spinal adjustment/ Hip joint adjustment – Your chiropractor may recommend a gentle adjustment to realign the spine and or your hip joint which may be the source of your hip pain, or making the pain worse than it has to be. Cold Laser Therapy – This therapy may be very effective for reducing inflammation in the area, allowing the hip joint to heal and return to its proper position and function. Lifestyle adjustment – Try to be open in regard to the physical activities that you participate in, becuase your chiropractor may be able to advise you as to whether you should take a break or discontinue these activities until the further notice. Nutrition – We all know that nutrition is a key factor in our overall health. In the case of hip pain, your chiropractor may focus on your weight and recommend nutritional changes to take unnecessary pressure off of the hip. Your chiropractor may be a great place to visit for hip pain, becuase not only may they ease your symptoms, but they will also try to diagnose and treat the root cause of your hip pain. If you are looking for an experience chiropractor in Brick, Toms River, or anywhere in Ocean County, the Back and Neck Center of Brick is perfect for you. Our doctors have been helping patients in the area live healthier and more active live for over 28 years! We hope you found this information useful. Thank you and be well!